and industry steadliy improving in association with primary industries. Wide lands look upon the Sea of Okhotsk. Agriculture and forestry have been mainstay industries here along with fisheries. Now, in association with there mainstay industries, secondary industries such as manufacturing and tertiary industries such as commerce have been improving. In addition to fishing, agriculture is one of the industries supporting the economy of Mombetsu. 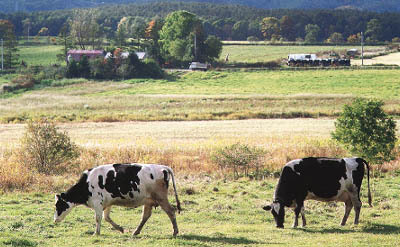 It has grown, dairy farming (mainly milking cows) being particularly emphasized. Today, 140 tons of milk is produced daily, processed as fresh daily products at factories with in the city and shipped out to the marketplace. The taste of dairy products from Hokkaido is rated especially high, and there is a stable demand for them. Beets have been mainly produced in dry-field farming activities, but recently the quantity of sweet corn and potatoes produced has been growing.